Since the formation of the company over 100 years ago HERBERT is engaged in the manufacturing of tire molds. In the course of time different manufacturing methods were developed, which are demonstrated below and can be utilized in accordance to customer preference. Your contact persons can be found on the site contact. As our product durability increases continuously, the need as well as the supply of completely milled profiles is rising. 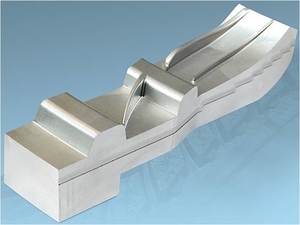 In addition to that the continuous demand for higher quality and closer tolerances constantly increase the market for these molds made of aluminum or steel. 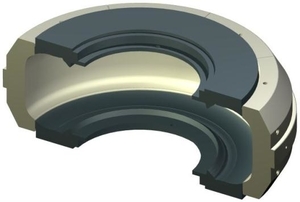 HERBERT utilizes this procedure since the 1990’s and meets these requirements regarding today’s tire molds by using the state-of-the-art CAD/CAM technology and constant investments in the latest 5-axis machining centers. Steel engraved molds are currently the majority of our manufactured molds. Regarding profiles with sipe blades, the sipes are inserted later in the contour or are shaped out of the full material proportional to length, width, height and form. A variation to the completely milled profiles is the combination of lathed tread contour and inserted tread ribs and sipes. With this process extremely high true running accuracy with simultaneously high surface quality can be realized. Additionally this variation has the advantage of replacing damaged tread ribs and being able to mill these ribs in spite of a high quantity of sipes. 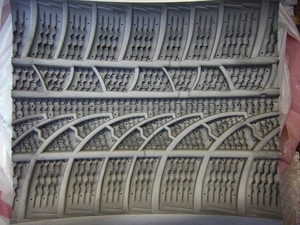 Tire molds resp. 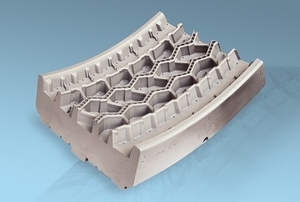 tread pattern inserts with casted tread pattern are considered to be the most common technology when it comes to high quantities with numerous sipes. 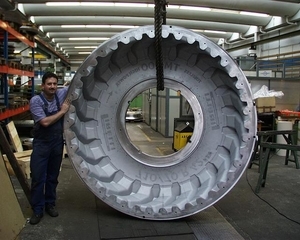 The main casting of the center divided tire mold consists of steel or forged aluminum. 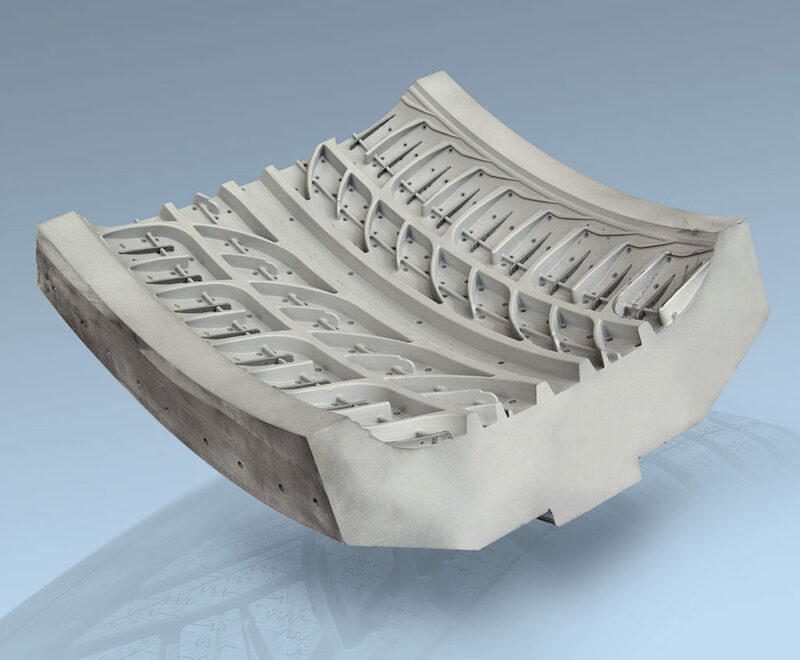 Complete tread pattern rings (360°) are fastened to the main casting. 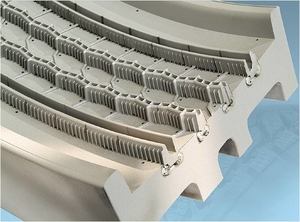 The casted tread pattern is a cost-efficient way of manufacturing. Alternatively to the classical venting by drillings with inserted vent plugs the possibility exists to exhaust the gases inside the mold through micro gaps. These types of molds are known as “puzzle molds”. The separating lines between the single segments have a tight tolerance, so that the gases can escape but a discharge of the rubber mixture is impossible. Therefore the outer surface of the tire is smooth all around and any refinishing of the tire is eliminated afterwards. The mold back of the 2-piece molds consists of steel or forged aluminum. Steel engraved tread rings (360°) are fastened to the mold back. HERBERT masters all common technologies and can satisfy all requirements according to customer needs. HERBERT tire molds work worldwide to the satisfaction of all customers!